Thinking about the environment and the effects of global climate change and the potential challenges our children and grandchildren may face in the future because of our actions (or inactions) can be hyperventilation-inducing-ly overwhelming. Downright daunting, isn't it? To think of this giant planet and the billions of people on it and now with over 1 billion cars and what can little ol' me do to change all of that? 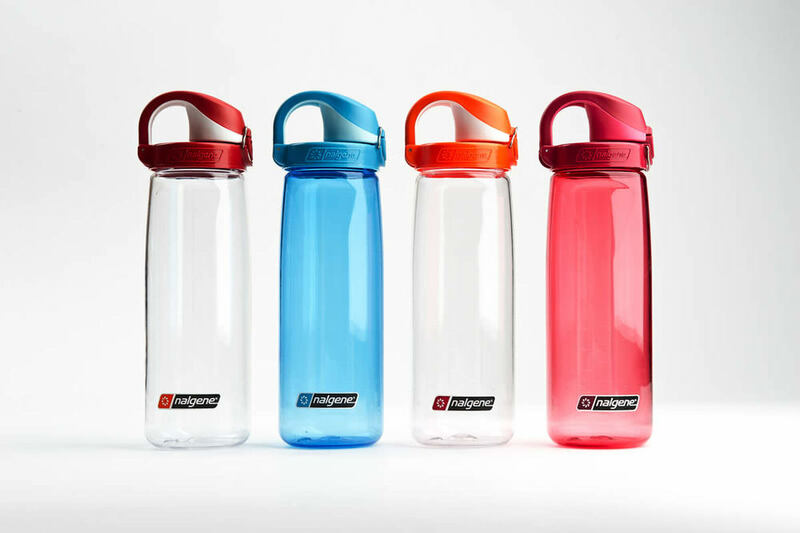 This water bottle by Nalgene is perfect for everyday use. It's narrow enough to fit comfortably in your hand and is simple to drink from (no squeezing or straws like some sports bottles that are more suited for the trail or the gym). Plus the lid has a back-up locking clip so you feel confident that you can throw it in your bag and it won't spill! Once again the folks at OXO have improved on a product that many others have tried and failed to perfect. This travel mug is insulated to keep your beverage hot, is easy to drink from, fits most cup holders, but the best part is the simple push-button locking mechanism that keeps your beverage from spilling even when held upside down. And the bonus feature is that it's very easy to give it a thorough cleaning, unlike some locking travel mugs that have places where old moldy coffee can get trapped. This is simply taking BYOC one step further and giving up bottled water all-together. Restaurants in San Francisco have led the charge by no longer offering bottled water and instead simply filtering (and in some cases, carbonating) the exceptional tap water they have at their disposal. There is a common misconception that when you recycle the bottle the water came in, it absolves you of your carbon sin. Not so. The energy used to package and ship individual servings of water cannot be offset by recycling alone. Bottled water is really one of the more egregious environmental sins but luckily it's an easy one to remedy and it will even save you money in the process. Who knew it? All of our fathers who were constantly reminding us to, "Turn off the lights when you leave the room" were early environmentalists. It seems like such a simple thing, but one we could all use reminding of (even when good ol' Dad isn't around). Lighting a home accounts for 12% of home energy usage. No data could be found to determine how much of that is for lighting empty rooms, but if your house is anything like mine, I'm betting it's more than it should be. The average American eats out 4-5 times per week, but "eats out" simply means they are buying food from a restaurant, not necessarily dining inside of a restaurant. So many of those meals are taken "to go", which means there is a lot of packaging - boxes, bags, paper cups, plastic utensils, etc. - being used. Being an obsessive multi-tasker, this is a tough one for me, but I'm trying to eat lunch in the restaurant (gasp!) more often to reduce this waste. And a happy side-effect is that it forces me to slow down and actually take a break from work every now and then. It's easy to think, "These are such small things in the face of such a big problem", but if everyone made these (or similar) small changes it can add up to a big difference. Plus, it's a start. And if we all start thinking about how our small, everyday decisions impact the big picture, we will continue to find more ways to reduce waste, minimize our carbon footprint and live more sustainably.